You are here: Home / Product Reviews / Babies & Kids / 7 Top Gifts That New Parents Really Need! 7 Top Gifts That New Parents Really Need! Gifts That New Moms Really Need! When I was a new Mom, I made sure to do my homework and researched everything that I would need for baby. Of course, some baby gear that is absolutely essential is a new stroller, a car seat, bottles, clothes and that classic and special receiving blanket. With time, we were ready before baby came home. Though in part was due to research, another part was due to the thoughtfulness of friends and family who gifted us with practical gifts. Buying or receiving THE perfect baby gift can make a world of difference. It can not only save you time but, make life for baby and mom much easier. Research from a recent study titled, “Baby Gifting – The Bizarre, the Useful and the Needed*” shows some baby gifts, such as a five-speed bike, are quite impractical. In fact, almost half of gift givers (forty-two per cent) are unaware that they may actually be gifting something completely impractical. Ultimately, that means you are not alone if you are stuck on what to buy the new parent in your life. Getting a gift that can literally help mom and baby doesn’t have to be difficult–but practical. Sometimes I feel that most people believe that you need to find that one unique gift that no one else has, when in fact, you’d be surprised at how the most simple gifts can do wonders. These type of gifts save new parents money and time so that they can focus on their new bundle of joy. The most important thing to remember for any gift giver is that they should focus on what baby needs when choosing what to buy. 1. Bottles, Sippy Cups and More! Whether you choose to breastfeed or bottle feed, you’re going to need bottles. PlaytexBaby™ have so many options. I know that I absolutely adored their bottles with liners (drop-ins), they were both of our girls favorite and our preferred brand of choice. They have all types, even ones for tummy comfort. They have bottles that mimics the breast. Once they get older and start using their little hands, they’ll need their own sets of bowls, plates, forks and spoons! Don’t forget the sippy cups, you cannot get enough of them. 2. Strollers and Car Seats. Of course these are must-have items. You cannot even leave the hospital without a safe car seat. This is a great gift to give if you know what the parents to be like or if you have their baby registry. It’s no surprise that almost half of Canadians moms think they are top for useful gifts to give. Though only 6 out of 10 moms like gift cards for gifts, they really do save the trouble of buying a gift that will never be used. Personally, I’ve always loved gift cards because it gives me a chance to get out of the house and get some fresh air and purchase the things that I need at that moment in time. While some people find them a bit impersonal, I happen to think they are thoughtful because they keep you and baby in mind considering that you will get what you need and use. 4. Diapers, Wipes and Creams. You cannot go wrong with diapers as gifts. In fact, 70% of Canadian moms agree. Once you become a parent, you will learn exactly just how many diapers you are going to have to change. If you purchase in bigger sizes, they are so helpful as baby grows. It will save trips to the store to grab diapers, believe me, they’ll be super thankful! Wipes are useful for babies and kids of all ages, I know we used them for years! 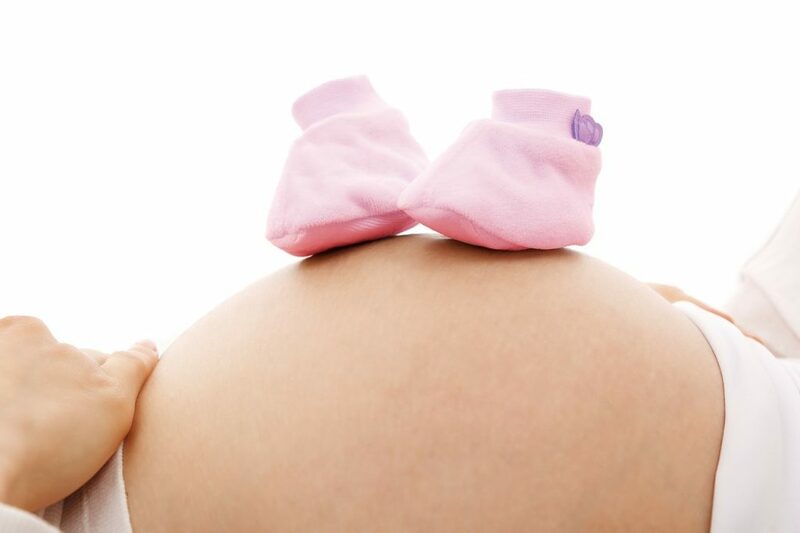 Find out what type of ointment or cream the mom-to-be prefers before gifting. We preferred zinc oxide and just because we swear by it, others may not! My girls lived in onesies and I often layered them in them. I had so many of them and I went through them more quickly then I could get them washed. Baby clothes like simple items like onesies and pajamas, make practical gifts. I find if you get fancier, it may be harder to suit individual styles of the parents. 50% of moms will agree while 57% will absolutely love to get other clothes, toys or books. Just like clothes, you will be surprised by how many blankets and bedding you go through on a weekly basis. While there are many joys of having babies there is the less than glamorous side of things too. Like spit-up, bowel movements and explosions! Not to mention, swaddling comes in handy to get a fussy baby to sleep. Needless to say, swaddling blankets are a welcomed gift too! Rub-a-dub, there’s nothing like giving your precious little bundle of joy their first bath at home. These make a great gift because it’s an item that will be used religiously. I often pair the tub with a small laundry basket filled with towels, shampoos and lotions and it never disappoints. I even throw in a medical kit with baby scissors, nail trimmers, suctioning bulb and thermometer. Nowadays, there are so many nifty monitors that allow you to not only listen but watch your little ones. This makes a great gift because you are not only giving new parents peace of mind but, a little time to themselves to get things done around the house or to just relax! Now that you know that some simple gifts can really make a difference, PlaytexBaby™ is helping to make gift giving easy with an exclusive Babies “R” Us deal! From September 30 to October 31 when you spend $40 or more on PlaytexBaby™ products at all Babies “R” Us stores and on Babies”R”Us.ca (excluding all Playtex® Diaper Genie® products) you’ll receive a bonus $10 gift card. What does that mean? That means you can give mom a gift she’ll actually use – feeding essentials for baby’s first year, plus a $10 gift card to pick up something extra once baby arrives. Or, keep the $10 gift card for yourself and pick up something later for your own little one. For more information, visit Babies “R” Us to learn more about the PlaytexBaby™ promotion and get that bonus gift card. It’s always nice to get a little bonus when you are going to be purchasing anyway. A little bit can go a long way, believe me, especially when it comes to babies! What are some of our top gifts to give to new parents? Note: This post is sponsored by PlaytexBaby™ but, all thoughts and opinions are honest and my own. My pleasure, hope this helps find the perfect gift for her. you can never go wrong with diapers and gift cards! Normally when I am buying a gift for new parents, I go with a gift card. That way they can get exactly what they want. I think they make excellent gifts! Looks like you covered it all, great list here for anyone wondering what to buy for a baby shower! These are great gift ideas!!! I know my wife loved when we got useful baby gifts when we had our kids. These are must-haves before the baby come out. I have a friend who was pregnant, these are also great idea. What wonderful gift suggestions you have. These are all useful for new moms. Yup, all of these, plus maybe a hot meal and a coupon for some baby sitting so mom and dad can go relax after a bit. Now those are awesome ideas, thanks for adding them! This reminds me so much when I was pregnant. Receiving one of these gifts can be so exciting! This is a great list. I really appreciated getting gifts from friends and family when I was pregnant. They all really helped out. I was blessed to get some very practical things. They make the best kind of gifts! What a terrific list to make any new mom smile. It brings back memories of the gifts we got when my babies were born. These are all great ideas! I currently don’t have any friends that’s expecting, but will certainly bookmark it for future reference! Love the little booties!! A baby tub was something I had forgotten about and luckily was surprised with one at my shower! Gift cards were VERY helpful and I was able to stock up on diapers ahead of time with sales and coupons. Yes, a baby tub is definitely an essential and I love gifting and getting gift cards. Hehe. I agree, they are so helpful! Baby monitor and diaper genie were both perfect gifts for my new grandson ! This post was so helpful! Those were both my top items when raising my kids especially the diaper genie! This post was so helpful for me! Very pleased that it was helpful for you!